Meanwhile, put chicken bouillon melted in the hot water into a frying pan. Add onions and sauté until softened and slightly browned, about 10 minutes. Mix together potatoes, onions, salt & pepper, butter and milk, mashing and mixing to a smooth consistency. Set aside, cooling the mixture to room temperature. 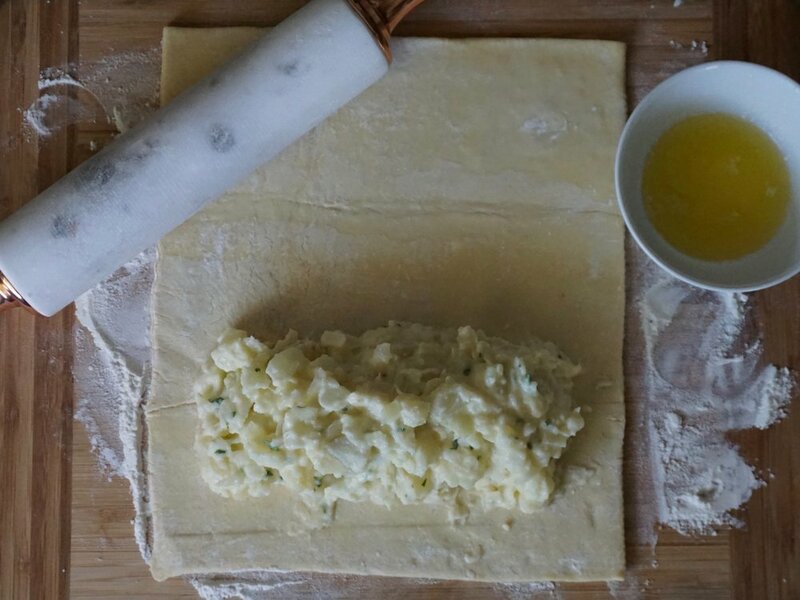 Roll pastry over filling. With seam-side down, cut into sections. Take each section and put on its end, and take top of dough, squeezing, pulling and twisting to form a top seal. 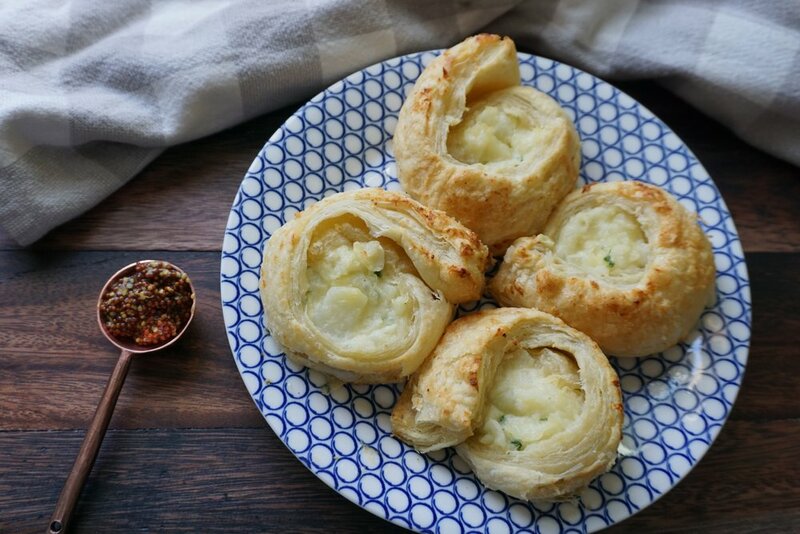 Repeat with each knish.